StopWaste is a public agency that helps students, teachers and school district staff across Alameda County become leaders in waste prevention and recycling at school. 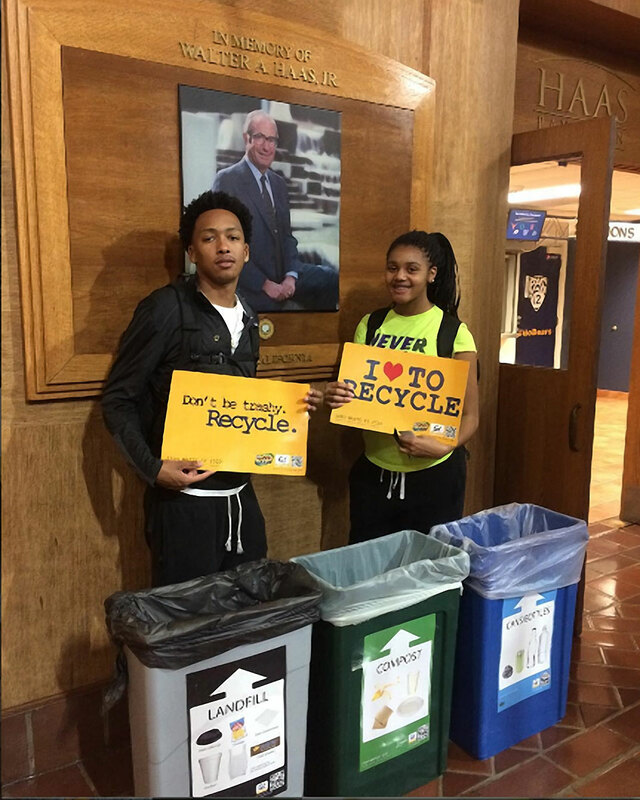 When students engage in recycling issues at school, it opens up a world of learning opportunities about real environmental issues and the impacts of every day decisions. StopWaste offers composting and recycling services to help school districts in Alameda County cut costs, operate more efficiently and keep valuable materials out of landfills. We also have resources to help students learn the 4Rs—Reduce, Reuse, Recycle and Rot (compost, that is). For activities and lessons, see our curriculum and videos. Please note that registration for the 2018-2019 academic year will open in the next couple of weeks. Students can learn first-hand what happens to their recyclables, compostables and garbage at a materials recovery facility and transfer station. Free bus transportation provided. Bring academic fun and the 4Rs: Reduce, Reuse, Recycle and Rot (compost) into the classroom. Students engage in project-based learning and develop skills to make a difference in their school and their community. StopWaste educators visit the classroom and facilitate a three-part series of two-hour lessons. SWAP offers a range of services to help advance environmental education and leadership in Alameda County middle and high schools. StopWaste can provide teacher training, Green Team Action Project Kits, educator stipends, and technical assistance in supporting your students to take action at school and at home. In an effort to amplify our work countywide, we are currently accepting applications for at least one school to become the model StopWaste school for their district. StopWaste Anchor Schools are committed to educating students to apply their academics in action-based project learning to stop waste at home, at school, and in their community. Anchor schools commit to planning hours to take action with StopWaste educators and will be given priority for StopWaste educator project support and StopWaste resources. To be eligible to become an anchor school, your school needs to have participated in a StopWaste Schools program within the last three years, and have one lead administrator, teacher or club leader as a main liaison. To apply to be a StopWaste Anchor School, apply here. 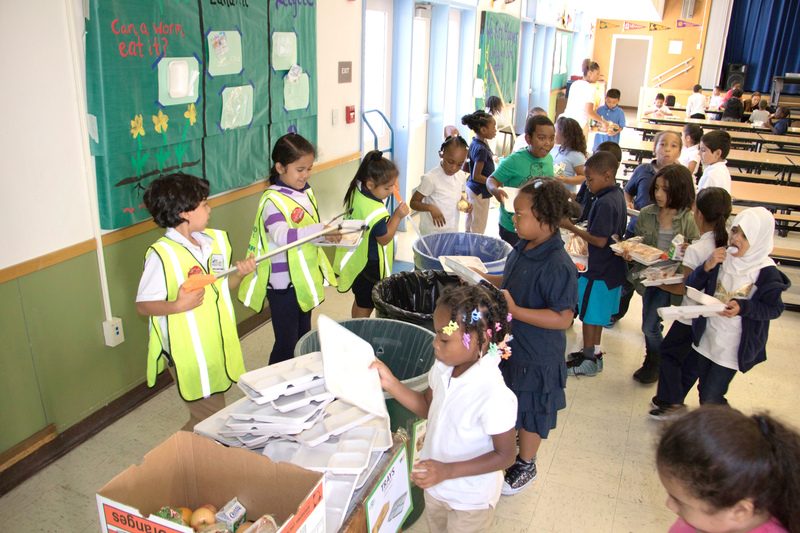 In Alameda County, a number of school districts have declared a commitment to reducing the amount of readily recyclable and compostable materials to less than 10% of trash sent to the landfill by the year 2020. These districts are eligible for priority registration and technical assistance from our Schools Program. For the 18-19 school year, we are also looking for new district partners to support our food waste reduction school programs. 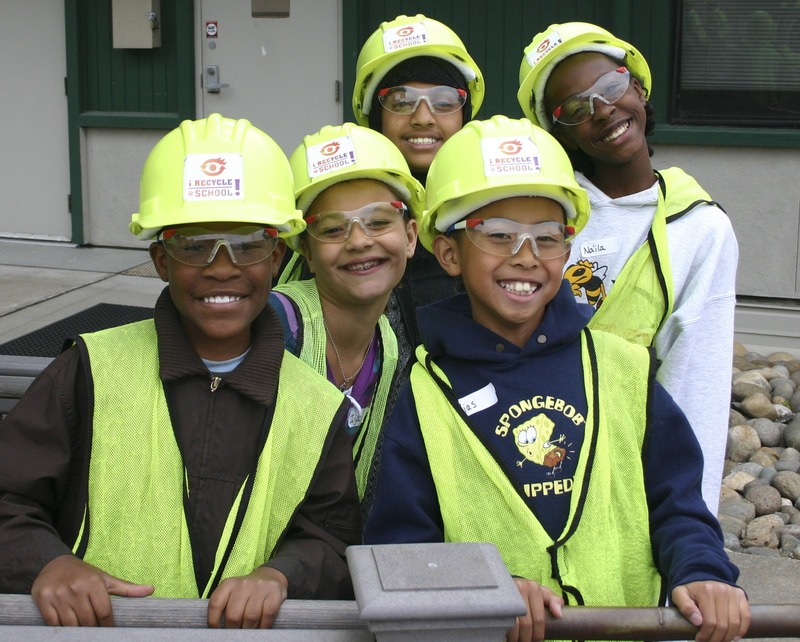 If you’re interested in becoming a priority district, e-mail schools@stopwaste.org.